Manchester City know they will retain their Premier League title if they win their final three games of the season and their next test sees them travel to Turf Moor on Sunday. Can City beat Burnley and make it 12 league wins on the spin? BBC football expert Mark Lawrenson feels their mentality will get them through. "The thing with City is that they are just absolutely zoned in," he explained. "I was at Old Trafford on Wednesday and you saw them just turn the switch on in the second half, and that is how the top teams get results. "I am at Turf Moor on Sunday which will be the third time I have watched them in a week, and I am expecting to see them get another victory." This week he is up against Radio 1 DJ Melvin Odoom, who admits he is not exactly an expert compared to his co-hosts on the late night show, Charlie Hedges and Rickie Williams. "We just love to take the mickey out of him because he knows nothing about football," explains Rickie. "Melvin has no football knowledge, but he is very lucky, so he might do better with his predictions than he thinks," said Charlie. Melvin is definitely taking his task seriously, though. He added: "I know it is a big deal because every time I look into Rickie's eyes, I see fire burning. "It is like if I get it wrong, it is a really bad thing, but I think I have got the skills to beat Lawro at the very least." Melvin says he supports two teams - Tottenham and Ghana - but admits he is is not much of a footballer himself. "I didn't really play at school," he said. "But I was very good at kiss-chase and hopscotch. I never used to get picked for football teams, which is probably why I was never really into it. "I am a Spurs fan because of my dad. Harry Kane is my favourite player and it is such a shame he is out at the moment." You can listen to Melvin, Charlie and Rickie on the late night show on Radio 1, Monday to Thursday, from 9pm to 11pm. Fulham have won their past two games, and kept clean sheets in both of them, which shows they have not just stopped trying since they were relegated. Those results have helped support Scott Parker's case for getting the manager's job permanently and there is no way they will let Cardiff come to Craven Cottage and just roll them over. This is a massive game for Cardiff's survival hopes and it is tricky to know what approach their manager Neil Warnock will think gives them the greatest chance of success. Do they play the same way as usual, which is to squeeze, tackle and press or, because they are playing Fulham, is Warnock thinking he could play an extra attacking player? Win, and Cardiff will put the pressure on Brighton, who play later on Saturday, but I actually think this could be a difficult afternoon for the Welsh side. Melvin: This is an easy one, 1-0 to Fulham. Charlie: Haven't Fulham been relegated? Rickie: Yes, and Cardiff are fighting for their lives, so they will potentially try harder than Fulham. Melvin: Okay, with those facts I am going 1-0 to Cardiff. Charlie: I think you should stick with what you said originally. Melvin's prediction: Okay, 1-0 to Fulham... but I feel there is a lot of pressure on me from both sides, and I can't really make up my mind, so 1-1. Scott Parker insists Cardiff City have exceeded expectations in prolonging their Premier League status this long, but is ready to switch off the life support on Saturday. The Fulham caretaker manager is searching for a third successive victory for a club that have already been relegated. If they manage it – and Brighton win at home against Newcastle later that same evening – then the Bluebirds will effectively be down as the Seagulls would be six points clear with two games left and a vastly superior goal difference. It’s still actually possible that Fulham could not only relegate Cardiff, but overtake them for 18th place if they were to win their three remaining matches and Neil Warnock’s side lose all theirs. The alternative – and rather more positive scenario for Cardiff fans – is that Warnock’s side repeat their most recent away success at Brighton and keep up the pressure on their rivals with two matches to go. “I think Cardiff have done remarkably well and full credit to Neil for what he’s done,” said Parker. “To still be in with a shout with three games left is a fantastic achievement. “And that’s not being disrespectful in any way to Cardiff and their players, and Neil. If anything, I think it shows what a great job he’s personally done, and what that group of players have done. “They come on Saturday fighting for their lives, and I’m looking at this game thinking it’s probably one of the toughest we’ve had, certainly since I’ve been here, due to the manager we’re facing and the fact the team is scrapping. Cardiff may still be walking the tightrope, but Fulham fell off some weeks ago and it appeared initially that their former midfielder was unable to get any more out of their under-performing squad than the two managers who had gone earlier in this same season – Slavisa Jokanovic and Claudio Ranieri. Parker lost his first five matches in charge, but then earned a shock win over Everton and backed that up with a first away victory of the season – 1-0 – at Bournemouth. He admits, though, that even if he beats Cardiff to make it three in a row and earns the job on a permanent basis, the current squad will not bear much resemblance to the group he would have in the Championship. With Juventus now among the club’s interested in Ryan Sessegnon, and Aleksandar Mitrovic’s goalscoring catching the eye, Parker acknowledged that keeping Fulham’s best players may prove difficult. “Relegation brings a lot of disappointment and uncertainty, and you understand the squad is going to change,” he added. “When you’re at a football club with quality players, you’re in a position that if clubs come in and the players don’t want to be at the football club, you have a tough decision. 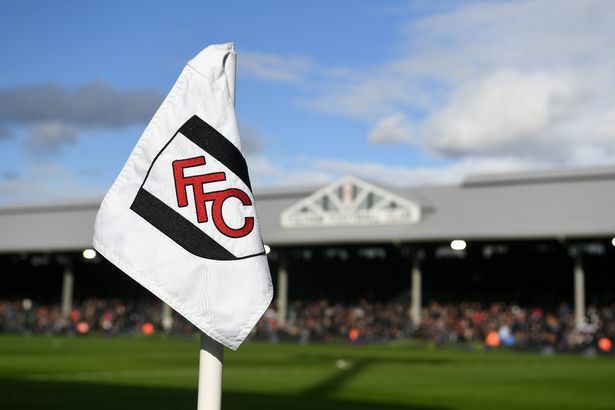 Fulham’s torrid run of nine straight Premier League defeats ended a fortnight ago with that 2-0 home win over Everton, followed by the triumph away at Bournemouth, winning praise for Parker. In those two games, Fulham registered back-to-back clean sheets for the first time this season, something Parker was particularly pleased with. “It’s always nice to hear that players I’m coaching are appreciative of what we’re doing,” said Parker. “That’s helpful, but ultimately I’ll get judged on results and what my team looks like every weekend, and I’m fine with that. 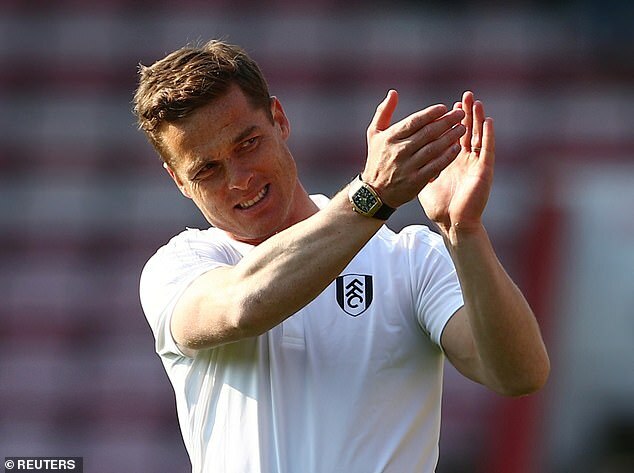 Scott Parker insists Fulham's owners will do everything in their power to keep the club's best players following their relegation. The Cottagers' demotion back to the Championship could spark a summer exodus, a year after they went on a £100million-plus spree ahead of their Premier League return under Slavisa Jokanovic. Starlet Ryan Sessegnon is expected to head the list of players to leave Craven Cottage with Tottenham, Borussia Dortmund and Juventus all keen on the 18-year-old academy product. Top scorer Aleksandar Mitrovic is wanted by West Ham while winger Ryan Babel also went public with his wish to remain in the Premier League to boost his chances of remaining in the Holland fold ahead of Euro 2020. 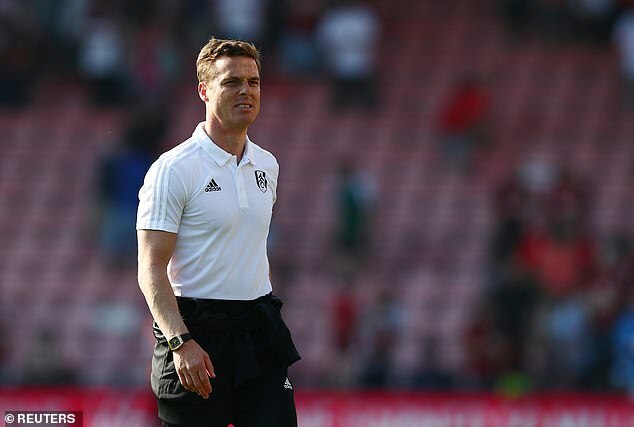 Caretaker manager Scott Parker said: 'When you get relegated that brings disappointment, a lot of uncertainty and at the same time you understand as well the squad is probably going to change. 'The football club changes a little bit in that sense. I have stated many times that the owners here are very positive. They are very willing. 'They want the club to bounce back as quickly as it can and they will do everything in their power to keep as many players as they can and keep the squad as strong as they possibly can. 'When you're at a football club and you've got good talented players like Ryan Sessegnon, Ryan Babel and we could sit here and name another two or three. Luke Shaw’s absence for Manchester United in recent weeks has been sorely felt. The lack of a natural replacement for the England international during his three-game suspension stretched the squad, especially with patience waning in Ashley Young’s ability. A potential solution could be on the horizon, in the availability of Ryan Sessegnon. The Fulham star is available at £40 million following the club’s relegation from the Premier League, The Mail report. United might be able to knock this down further. 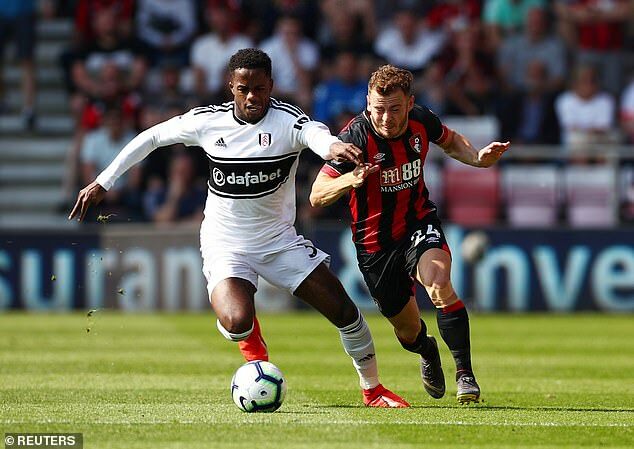 Sessegnon, just 18, scored 15 goals in the Championship last season, which led to The Sun reporting Fulham wanted £100 million for him last summer, when Jose Mourinho and United were said to be interested. As we noted earlier in the season, Sessegnon has played nowhere like a £100 million player in the Premier League, but he has shown quality. Two goals and six assists is still a decent return for a teenager in the top flight in a struggling team. Luke Shaw signed a new deal earlier this year and should clearly be United’s first choice. He does however need some competition, and Sessegnon would be perfect, as a young player, also capable of featuring as a winger. United paying £100 million last summer would have been laughable, but £40 million is fair value for a player who is a future England international. Tottenham, Juventus, Borussia Dortmund and Liverpool are all said to be keen. While United have other priorities, left-back would be a crisis position next season if Shaw got injured. Signing Sessegnon for a reasonable fee would be a clear statement of intent in terms of future planning. The deal which took Aleksandar Mitrovic from Anderlecht to Newcastle United in 2015 is reportedly part of a money laundering investigation carried out by Belgian police. As noted by BBC Sport, the Serbian international joined the Magpies for £13m when he was just 20, following an impressive stint with Anderlecht during which he bagged 44 goals in 90 games. He stayed at St James’ Park for three seasons, scoring 17 goals in 72 outings, before joining Fulham on loan initially in 2017 prior to signing on a permanent basis on their return to the Premier League last summer. However, it’s that initial move to England which is proving to be problematic, as the Daily Mail report Belgian police have launched a money laundering investigation involving agents and players, and part of that probe has seen them raid the offices of Anderlecht and the Belgian FA. It remains to be seen what comes of it as it would appear as though the agents and club may be at risk of facing action, as there is no suggestion of any wrongdoing on the part of Mitrovic himself, with his transfer to Newcastle said to be one of the transfers falling into the investigation. As for Mitrovic’s more immediate issues, time will tell if he stays with Fulham following their relegation back down to the Championship, as the Cottagers will surely be hopeful that he does stick around and attempts to fire them back to the top flight next season. The business end of the Premier League season is upon us and, looking further forward, there is far more at stake for Cardiff City than perhaps most people realise. This is not just about the Bluebirds versus Brighton, who's relegated, who stays up. Each have three matches left, starting with Cardiff at Fulham on Saturday and followed afterwards with Brighton hosting Newcastle. With a three point lead, better goal difference and time running out, most would take Brighton's position right at this moment in time. But they can't score goals, have gone into a defensive shell to try to nick the odd point here and there. In terms of momentum and performance, give me Cardiff's position. They really can do this. I genuinely feel wins over Fulham, then Crystal Palace at home, will be enough, too much for Brighton who will get nothing from two really tough final games against Arsenal and title-chasing Manchester City. But whereas we have to focus upon the immediate short-term, ie Fulham, Palace and Manchester United for the Bluebirds, for me the bigger picture is far greater than that. If they come through the current challenge, Cardiff City have a real opportunity to start establishing themselves as a Premier League club with proper planning. If teams like Watford, Southampton, Leicester and Newcastle can do it, then Cardiff most certainly can. The sold-out signs are already there for most Bluebirds matches. With a few years in the Premier League, I could see Vincent Tan increasing the capacity of Cardiff City Stadium to 40,000. In fact, I could easily see Cardiff getting the type of 50,000 crowds that Newcastle attract. Don't scoff. There is a truly massive population catchment area the Bluebirds can tap into through being a Premier League top 10 side and marketing themselves properly. Throw in the pride Welsh exiles everywhere would take from having their capital city club punching its weight in the best league in the world, and thus also coming on board, and potential 50,000 gates are most certainly not a pipedream. They might have to increase the stadium capacity further again. Which in turn, of course, would benefit a successful Wales national side for the future, given Cardiff City Stadium is their home as well. That would be a boost to the Welsh population, enable far more people to follow Wales, whereas we've seen sold out signs in recent times and frustrated fans unable to get their hands on a ticket. Sam Hammam had this kind of vision when he first breezed into Cardiff, believing a nation would rally around its capital club. If Hammam was naive in many ways, some of the principles of what he was attempting to achieve were actually spot on, in my view. What were Cardiff's gates when he first arrived? Around 10,000? See how quickly the fan base has grown since. Look, even if they are relegated, Cardiff will have 22,000-plus crowds in the Championship. So, without really trying, they've already increased this season by 8,000. That's what the Premier League does for you. Imagine some sustained success on top of that, Cardiff holding their own instead of being outclassed - as has been the case in many matches this season? Tally that with a proper marketing campaign, going into schools, showcasing what they've really got, trying to persuade some of those to take a look at Premier League football. I really don't think, with efforts like that, it would be too difficult to quickly go from 30,000 to 40,000, particularly as the away following would also increase. Then, once you're properly established, you have the local youngsters who suddenly become Cardiff City fans, as opposed to following Liverpool, or Manchester United, or Chelsea, or Arsenal. Indigenous Welsh support for the local football team in the Welsh capital. Are 50,000 crowds, the type Newcastle get, really that unfeasible? Not I don't think they are, not for one second. As I say, just look at the catchment area. You can go west towards Bridgend, or even Neath and Port Talbot where there is already a more than decent Cardiff following. Go east towards Chepstow, go up through the Valleys up towards Merthyr, then further afield into mid-Wales. Target Gwent, where Newport County get a loyal fan base of around 3,000, but no more than that week by week. There must be tens of thousands in those various areas who would love to see regular Premier League football nearby in Cardiff. Throw in the city's own population, on top, which stands at over 300,000, and you get an idea of the kind of figures I'm talking about. It's a fabulous city, a growing one, with so much going for it in every sense. Culturally, sporting wise, you name it. We've got the best rugby stadium in the world smack bang in the middle, an iconic venue that has also hosted the Champions League final and FA Cup finals. Play on that, don't see it as a rival. Heck, boast about the Grand Slam success of Warren Gatland's rugby side, tap into the psyche and again try to persuade some of those supporters to take a look at Premier League football. It's much cheaper, for starters. Persuade people to make a weekend of it in Cardiff, when possible. Six Nations rugby one day, the Premier League the next. These are mouthwatering marketing options that only Cardiff City can really offer. Twickenham and the London clubs isn't quite the same, in my eyes. So why hasn't it happened to date, you may well ask? And rightly so. I've touched on that. Welsh folk around here starved of success at club level have turned to the bigger clubs. Hence the enormous support for Liverpool and Man Utd in South Wales. Then it gets passed on down the years, through the generations. But give the local people regular Premier League football and you watch how quickly they start to come on board. Then it becomes chicken and the egg, the success breeds more interest, the greater the interest and fan base the more revenue is brought in and the greater that chance to achieve success. Play on the local celebrities. Get the Manics at Cardiff City matches, make an issue of getting top rugby players coming to Premier League games. I don't see any of that at the moment. Get a vibe going that this club is really going places, get more youngsters wearing Bluebirds replica tops, asking to go to games. I repeat, if clubs like Leicester, Watford and Southampton can become sustainable, then Cardiff most certainly can. One hundred per cent. But, of course, you can't run before you walk and first things first. If Brighton lose at home to Newcastle, I'd take a point at Craven Cottage this weekend because I genuinely feel Cardiff will beat Crystal Palace the following weekend. Brighton are going to put their eggs in the Newcastle basket, knowing they are unlikely to get anything from their last two games against Arsenal and Man City. But they can't score goals and that plays into Cardiff's hands. The Bluebirds have first go on Saturday and if they beat Fulham, it will really pile the pressure on Brighton when they play in the tea-time kick-off. I fancy Cardiff, 2-0, and it remains to be seen if Brighton can match that. The stakes are enormous in these final three games. But, as I've tried to explain, they can prove to be even bigger than that. 40,000 or 50,000 times bigger. Aleksandar Mitrovic scored his 11th Premier League goal of the season. The former Newcastle striker scoring from the penalty spot to give Fulham a 1-0 win at Bournemouth on Saturday. The Fulham striker with a decent goals tally considering he’s playing for a team that are already down. “The Fulham fans are unbelievable…..can say we have the best fans in the world. You have to love Mitro. No doubt supporters of Teleoptik, Partizan Belgrade, Anderlecht and Newcastle United are currently scratching their heads, sure that the Serbian striker has said something similar before! ‘Sky Sports News interviewed Mitro at the end of the game today. About our match preparation, he said, ‘with Scotty we knew everything about them.’ He sounded as enthusiastic as I’ve heard him. ‘We just need to improve the squad over the summer so that Mitro is fed more up top. ‘Mitro does need to up his game for next season. ‘However complimentary Mitro is about the fans, that doesn’t convince me he’ll still be with us come August. Money does indeed talk when all is said and done. ‘That’s the sort of emotional comment you get from a player who’s on his way. ‘More interesting discussion point: If Mitro stays and we somehow bounce right back up to the Premier League, would the club then want to keep him as the primary striker for that 2020-21 PL season given what we saw this year regarding how his lack of pace was an issue in this league? ‘He gets out paced by even the slower defenders in this league, as seen on more than one occasion against Bournemouth. I got a lot of time for Rafa Benitez and his view on football and players. He didn’t see Mitrovic as a PL striker. Probably the right call. ‘Everton fans are seriously wanting him. Calvert Lewin is exceptional (in my view) but if Mitro were up there they would have a hell of a team. ‘Nice words & I’d love Mitro to be with us next season but if as I suspect he goes in the summer he will go with my best wishes. The last time Fulham entertained Cardiff City at Craven Cottage in a league match it was on 9th September 2017 in the Championship. Cardiff had a 100% win record and sat top of the table with 15 points from their first 5 games. Fulham were mid-table with only 6 points from their 5 games. Six players that played for Fulham in that match remain in our squad; Ream, Odoi, McDonald, Cisse, Ryan Sessegnon and Ayite. The other five chosen were; Button, Fredericks, Kalas, Mollo and Johansen. Used substitutes on the day were Norwood and Kamara (who we all know is currently out on loan). Fulham put up a good show against high flying Cardiff with young Ryan Sessegnon opening the scoring in the 75th minute with his first of the season. The home team had further chances to put the game to bed, but in typical Fulham style, allowed Ward to pop up with an 83rd-minute equaliser for Cardiff. Looking back, had Fulham managed to hold onto the lead and get all three points, they would have finished the season two points above Cardiff, therefore gaining automatic promotion instead of the traumas of having to go through the play-offs. It would have given extra time to rest the players, and take stock of who we had and what areas needed strengthening. Instead, fans witnessed the crazy last-minute wheeling and dealing and wasting over £100m on too many players, and too many loans. Scott Parker’s team need to see this match as a Cup Final by showing the supporters that his side HAS turned the corner, and they are willing to fight hard to win each and every game. Cardiff come to Craven Cottage desperate for the three points. Brighton face Newcastle at the Amex Stadium on Saturday evening, currently three points ahead of Cardiff but with a much better goal difference. If Brighton win and Cardiff are beaten by Fulham, it is curtains for the Bluebirds. Let’s hope Fulham are the team celebrating Saturday evening with a good performance and a third win on the trot. It is such a shame but the table never lies. We will finish second from bottom because that’s what we deserve from our poor performances this season. If however, we won our three remaining games, we would end up with 32 points. If Cardiff lost their last three, they play Palace and Man City after us, they would remain on 31 points. Should Brighton lose their three, they would tally 34 points. That would mean Fulham could have avoided relegation if they had won just one more match. It doesn’t sound half as bad as it actually was, does it? Think this will be a goals game,both going for it for different reasons...3-3..3-4..4-3. Scotty needs to relegate Colin convincingly to secure his position. Cardiff will be fully committed to cheating at Colin's behest. Morrison standing on Rico's toes will be compulsory and I dread to think how they will behave if they get their noses in front.